Does My Horse Need Salt? 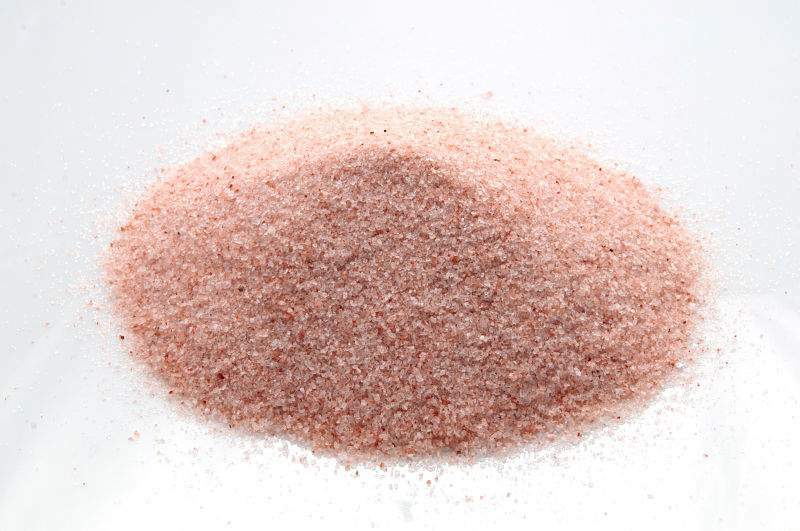 Yes horses need salt all year it’s a very important electrolyte that is found in the blood and if they don’t have enough it could cause tying up among other things. Salt helps with muscle contraction, nerve functions and it helps balance the water in tissues. The best thing you can do for your horse is to provide them with loose salt, not a block. Blocks were designed for cows with rough sandpaper-like tongues but horses with smooth tongues can’t get sufficient salt from a salt block. Licking a salt block can cause their tongues to get sore. If your horse is really salt hungry they will try to bite off a piece and it could mess up their TMJ (temporomandibular joint mechanism). This joint is where the jaw is connected to the skull. The TMJ is critical for spinal alignment and if misaligned and out of balance these things can show up in your horse… low levels of performance, improper gaits, possible head shaking, signs of headaches, cribbing and behavior problems as mentioned in Maureen Rogers article. They could also get choked on the piece they chew off. Keep in mind that salt blocks have chemical binders to hold them together and have been bleached which is not a healthy choice. Do NOT put salt in their food to get them to drink because it can throw off their electrolytes which can cause further problems. A better alternative I suggest DynaSpark from Dynamite Specialty Products. Always make sure your horse has access to clean water. If you suspect your horse is not drinking enough water it could be because they don’t like the taste of the water. You may find that your horse does not like the water because of heavy chlorination or you’re using a water softener. Salt is especially needed in the summertime because they sweat more. In the winter time, it is also important because horses tend to drink less because of the cold weather. If you see your horse licking the ground, pipes, you or other objects this is probably a good indication they need salt. Think all salt is equal think again. Salt should clump when the weather is humid if the salt doesn’t clump that means it’s been treated with flow enhancers or anti-caking agents. Additives like this prevent the salt from mixing with water in the body. Salt should be tan, gray or pink never white. When you see white salt it’s been bleached. For loose salt, I recommend NTM salt from Dynamite Specialty Products it’s the finest, most complete natural salt on earth. NTM Salt contains no artificial ingredients, is dried naturally, and is free of additives, bleaches, and anti-caking chemicals. If you’re feeding grain don’t use a mineralized loose salt because your horse is already getting vitamins and minerals in their feed. Be sure to keep the salt protected from the elements as you don’t want it left out in the rain or snow. Salt plays a very important role in your horse’s diet and if they don’t have it they can get dehydrated and colic. Loose salt is great for horses and they will know the amount their body needs so don’t be afraid to keep the salt container filled up. 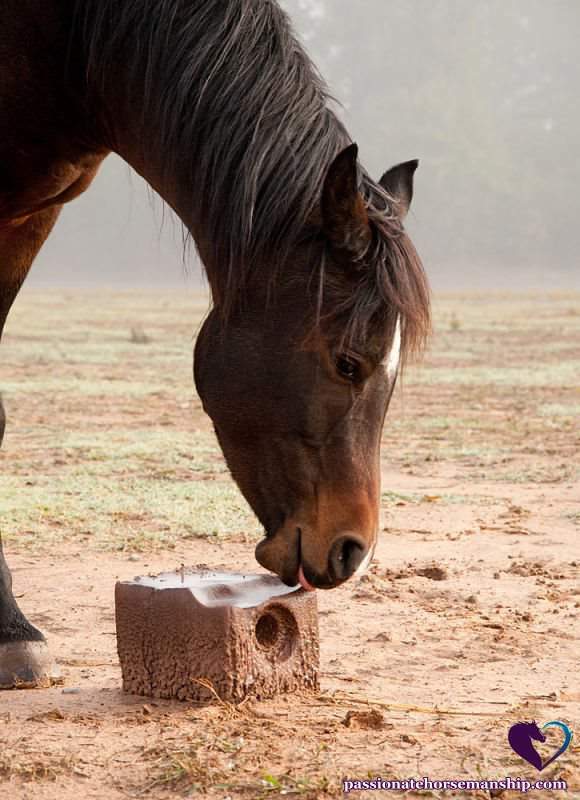 Always make sure your horse has access to plenty of clean water.